Dimensions 1.13 by 6 by 5 in. Amazon.com description: Product Description: In the mid 1800s, Pyncheon is still a revered namesake in Salem, with the gloomy Pyncheon mansion serving as a stark reminder of the family's upper class history. However, the house - unique for its seven gables - has a dark and deadly past. Its current occupant, the older and unmarried Hepzibah Pyncheon, is all but destitute and unwilling to accept any assistance from her wealthy but unrelenting cousin, Judge Jaffrey Pyncheon. To support her brother Clifford, who is about to leave prison after serving 30 years for murder, Hepzibah opens a shop in a side room. Phoebe, a distant cousin from the country, moves into the mansion to help run the shop. Soon a romance blossoms between Phoebe and Holgrave, an attic lodger who is writing the Pyncheon family history. About: Nathaniel Hawthorne's The House of the Seven Gables is a classic of American literature, written by one of the country's greatest writers. About: IN September of the year during the February of which Hawthorne had completed "The Scarlet Letter," he began "The House of the Seven Gables. About: The novel is set in the mid-19th century, although it includes glimpses into the history of the house, which was built in the late 17th century. from Createspace Independent Pub (March 26, 2015); titled "House of the Seven Gables"
About: A book about a New England family and their ancestral home. About: The House of the Seven Gables - A Gothic Novel By Nathaniel Hawthorne The House of the Seven Gables is a Gothic novel written beginning in mid-1850 by American author Nathaniel Hawthorne and published in April 1851 by Ticknor and Fields of Boston. About: One of Hawthorne's most well-known novels and widely considered to be a classic, The House of the Seven Gables is a rich, enduring read that is worth taking the time to study. About: The classic book, The House of the Seven Gables by Hawthorne! About: Hawthorne's The House of the Seven Gables. About: A mysterious tale of crime, witchcraft and the supernatural. About: The House of the Seven Gables is a Gothic novel written in 1851 by American author Nathaniel Hawthorne. 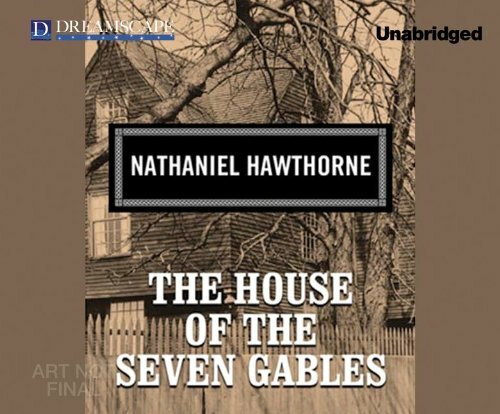 About: Nathaniel Hawthorne's Dark Romantic novel 'The House of the Seven Gables' is a true American classic! from Lightning Source Inc (June 20, 2012); titled "House of the Seven Gables"
About: Classic / American English The House of the Seven Gables is the home of an important family: the Pyncheons. About: In the mid 1800s, Pyncheon is still a revered namesake in Salem, with the gloomy Pyncheon mansion serving as a stark reminder of the family’s upper class history. About: In the mid 1800s, Pyncheon is still a revered namesake in Salem, with the gloomy Pyncheon mansion serving as a stark reminder of the family's upper class history. With David Evelyn Stewart, Carolyn Scrace (other contributor) | from Childrens Pr (May 1, 1999); titled "From Tadpole to Frog"
About: A prominent New England family suffering under a two-hundred-year-old curse is plagued by greed, vengeful acts, and violent death.